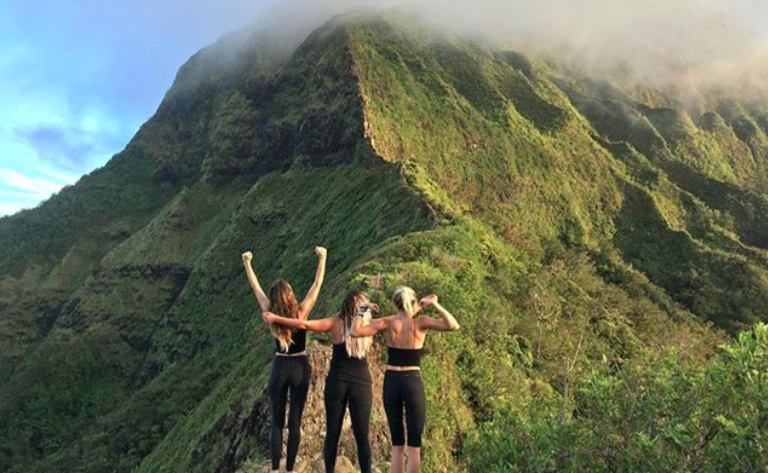 What to expect: This popular hike is one of Hawaii's notoriously stunning hikes. The trail is a steep incline up dirt and rock to these man-made notches. Pali Notches Trail begins behind the barely fenced off area that advises the area is closed at the Pali Lookout. The trail itself is clear once above the lookout area. 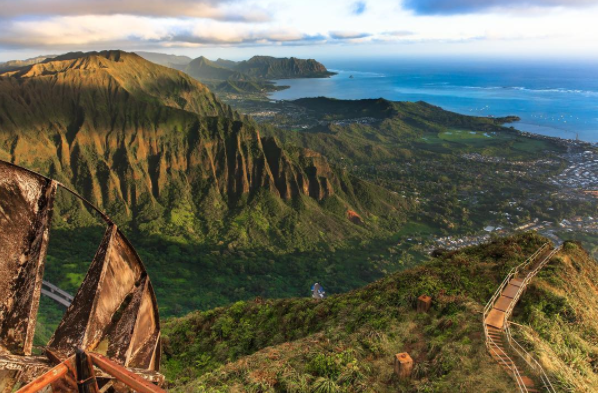 Follow the ridge up to the notches for one of Oahu's best viewpoint. 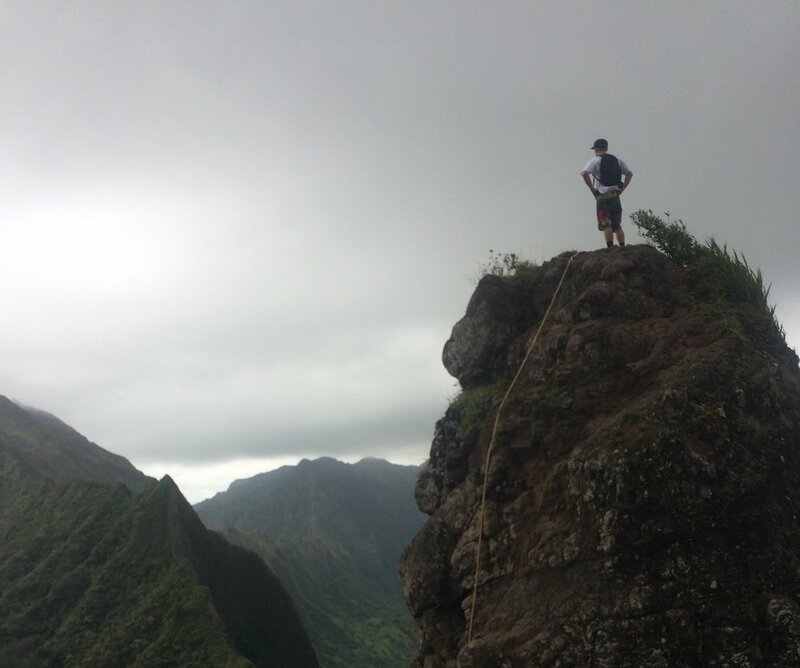 This place can get unbelievably windy and make the hike a bit more difficult. Intermediate climbing required.